Most of my animal subjects are night time creatures .I don't get many daytime color pics. Also, even though I'm using no glow flash I see some animals are clearly wary of the flash....perhaps there's a noise too? I live in France, so perhaps it's the way French animals live? Anyway, I'd like to improve the flash pics with a slave flash to give some depth. I've come across various makes....but Spypoint seems to be my future choice. Does anyone have experience of slave flash? Years ago I've used it successfully for portrait photograpy, but I had to play around with exposure time (those old 35mm films, remember?). 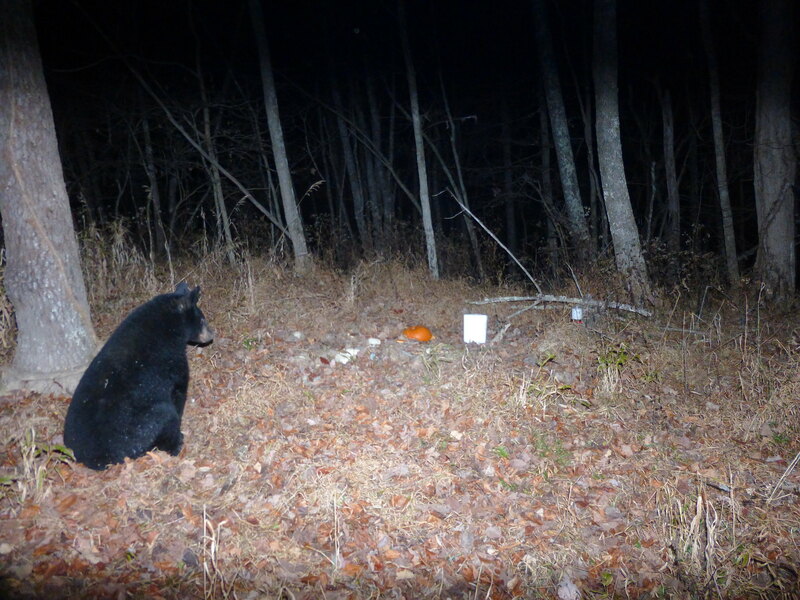 How does a slave flash affect trail cams settings? Any examples of slave flash pics? This is the same as Ken's... a vivitar 2800. I have it paired with a Sony H70 homebrew trail cam. 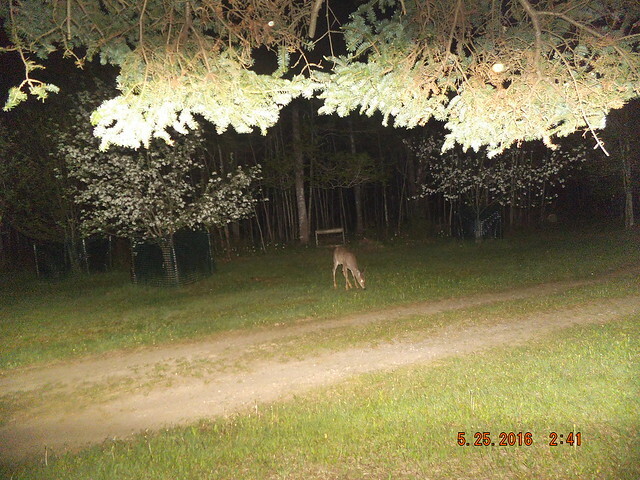 In 10 years of whiteflash cameras I have had 3 animals that may have been wary or spook of the flash. That is it. I agree with ghosthunters, Ken knows nothing about slave flashes (just kidding, dont think he owns a build without a slave flash) Even the bears dont seem to care about the flash. As long as you can set the ISO on the camera and it will stay when camera is turned off, you can always adjust the ISO so your pictures aren't too bright. This picture had the ISO set to 400. Thank you all for your helpful comments....I'll see what I can do! I'll post here any good pictures.